ATR James Eterno Elected Delegate from Middle College HS; Why are there ATRS at all? James' election by a staff that probably had little knowledge of the ATR situation until James arrived, is a significant breakthrough. James proved to his colleagues in every school he was sent to that the vision being promoted about ATRS - as incompetent - and worse - was false. Having James Eterno back at the DA, along with his pal Arthur Goldstein reporting back is a win-win for us all. Before I get to the story about James' election as delegate to a school that he probably won't be in this fall, I want to comment on the general ATR situation. That James Eterno has not been snapped up by schools all over the city is a testament to the disaster the ATR/Open market/end of seniority. The 2005 contract opened the door to massive ed deform once the DOE was freed from having to assign people based on seniority, a system with some flaws, but one that worked, on the whole. Having a thousand or more people floating around the system year after year is a form of insanity. The essence of the problem to me is the free market approach to education. In that world no principal should ever be forced to accept a teacher they don't want - even if the principal is nuts, or racist or whatever - the principal is king (or queen) and the teacher is mud. Now we know that BloomKlein wanted to just fire people after 6 months or a year but that would have sunk the 2005 contract, which despite massive publicity, the opposition managed to get almost 40% to vote NO. So BloomKlein knew that had a basic winner in that contract and were willing to take on the costs of maintaining an ATR system as a loss leader- figuring that over time they would get the rest of what they wanted. I believe, the UFT seeing what happened in Chicago where the firing of teachers outright was a key element in overturning that union leadership, realized that they couldn't afford the political price of firing people. 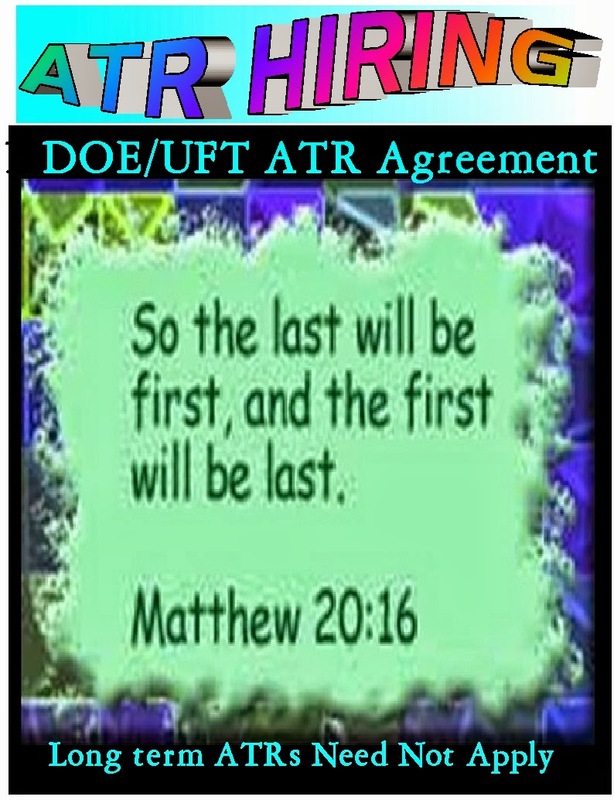 So instead, the UFT has worked with the DOE - with a wink and nod - to try to marginalize the ATRs and separate them from the rest of the members to the point where they would just turn their backs on them - figuring it would never happen to them (most don't seem to see the charter school tsunami coming). Thus, James' election by a staff that probably had little knowledge of the ATR situation until James arrived, is a significant breakthrough. James proved to his colleagues in every school he was sent to that the vision being promoted about ATRS - as incompetent - and worse - was false. Most massive organized systems like the DOE - have some formats that assign people to other positions when jobs disappear - and in the DOE, often intentionally disappeared. I remember the day that a young black man was assigned to our school by the district to teach special ed. We had no black male teachers in our school - in fact, I don't think we had ever had one. Looked like a win-win for us. My principal, who I suspected - due to upbringing and political views - had biased views on race - sent him back to the district - she didn't want him. The district sent him back to the school. She sent him back to the district - they sent him back a 3rd time -- I remember him sitting on the bench outside the office. I asked him what was going on - he shrugged. In the end, the principal had to accept him and he became an integral part of our staff one of the most popular people in our school. The thought has never left me that the only reason the principal kept sending him back was that he was a black man. In later years when we became friendly he seemed to agree -- but he was accepting of that as the way the world worked. I tell this story because of the seeming horror whenever we suggest that excess people should be permanently assigned to schools, the way it was done for almost a century in this school system. Here is James' story on the ICE blog of his election. He has told me that there are some amazing colleagues at his school who went very far towards helping him get elected. Kudos to them. EdNotesOnline Reprint, Dec. 2007 - Is New Action Really a Caucus? Mike Schirtzer, who is digging up all the history of the caucuses in the UFT he can find - found this oldie that I published. Mike wants people to have the full context when New Action runs jointly with Unity with Mulgrew at the top of the ticket in the spring 2016 UFT elections. Of course, anything is possible and NA might contact MORE with the news it wants to rejoin the opposition. One of them said how they felt they had more impact, now that Randi was listening to them, than they had over the past 20 years. I just smiled, since Randi has spent 4 years pulling the same scam on me/Ed Notes. I knew how that story would end. I had tried to put all the opposition forces together in a coalition soon after the 2001 elections, but there was too much infighting and positioning -- egos and politics. New Action plays the positioning game - say they are opposed or for a policy but do nothing about it. And they have allies who even if they argue they are anti-Unity, want to be in the playpen with New Action and by association, Unity. I and most people in MORE would welcome New Action back into the fold if they would break with Mulgrew -- old grudges, etc must disappear in these times. That's what they have to do, as Julie and I, repping MORE, made that very point in our meeting with them in the fall of 2013. Still waiting for that call. Is New Action Really a Caucus? New Action gave up being an opposition to join in a United Front with Unity. The result? Their votes shrunk almost in half by the next election in 2004 when ICE/TJC wrested the high school Exec bd from them. By the 2007 election, New Action's vote from teachers in the schools was around 1600.With retirees (many of whom are not aware of the sell-out) their vote came to around 3500, a [someone do the math] drop from when they opposed Unity. So how did that United Front work out for them? 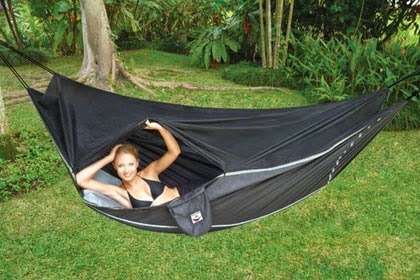 Actually, not bad. While having little support in the schools, New Action members serve on committees, they have jobs and offices at the UFT and run around pretending to be an independent caucus. Why am I bothering to spend so much time on a group headed for obscurity? With Weingarten, New Action's guardian angel set to leave the scene, we want to hasten their move towards oblivion, as their existence confuses the members and is a road block in the formation of a true opposition. In 1991 New Action actually got 31% of the vote. 16 years later, it's 9%. 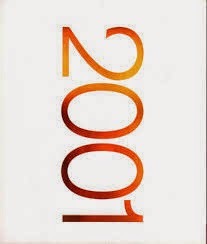 ICE/TJC's 20% in '07 is a building block for a future opposition. Note: A New Action executive board member on Weds. called this a hatchet job and tried to compare what they are doing at Executive Board meetings with ICE/TJC. "How many resolutions did you get passed," he asked? Meaning: you couldn't get the 83 out of 89 Unity EB members to support your resolutions while we can through our sucking up to Weingarten. Duhhh! Read on! Let’s look at New Action’s vote totals on its own as compared with ICE/TJC and Unity in the 2007 UFT elections. (Slate votes only). Huh! ICE/TJC triples New Action’s vote and gets NO seats. Assume some of new Action’s votes (in all divisions) came from people who had voted New Action for 20 years when they were the major opposition, didn’t know about the sell-out and were confused. A swing of around 300 votes would have given ICE/TJC all 6 seats. The drop of 8% in HS significant. But it gets worse in middle schools where 12,841 ballots were sent and only 2,384 (18.6%) voted, down from the 27.6% who voted in 2004. Here are the dismal totals. Returned: 8,904 (24.1%). 34.3% voted in 2004. Think about it. Less than 10,000 classroom teachers out of 70,000 voted for Unity as a slate. Dismal indeed. Weingarten’s totals are higher with the addition of the New Action votes but even with the addition of the non-slate votes, probably less than 15,000 in all. To the overwhelming majority of classroom teachers, the union is insignificant. New Action, which at one time got over 10,000 votes, is irrelevant, even with its 8 bonus seats from Unity to be the house opposition. Unity’s biggest fear is that New Action will fade into obscurity and a real opposition might blossom. Unity needs a non-threatening opposition to claim “we are a democratic union.” What better opposition than New Action, growing steadily weaker and less effective? By breathing life into New Action, the union leadership can give them an air of legitimacy as the “loyal” opposition. New Action is perfectly happy to occupy the position. As long as they play this role for Unity, there is little chance of seeing a serious opposition take hold. If New Action didn’t exist, Unity would have to invent them. Ah, how time flies. Six years later, New Action is handing out leaflets talking about how 8 New Action members were elected to the UFT Executive Board in the UFT elections in March 2007. Unity holds the other 81 and ICE/TJC hold no seats on the Ex Bd. Ed Notes is making a return appearance at the DA to fill in the missing information. New Action received an automatic 5 seats from their candidates that also ran on Randi Weingarten’s Unity slate. The other 3 seats came from running with Unity on the high school level, where they split the 6 seats with Unity. ICE/TJC had wrested these seats from New Action in the 2004 election when Unity didn’t run any candidates in a deal with New Action to have them not run a candidate against Weingarten. This led to the foundation of ICE and the reincarnation of TJC as a caucus active in UFT elections. The 6 ICE/TJC Ex Bd member were such a thorn in Unity’s side, they made sure not to allow New Action to run on their own against ICE/TJC. What has NA they done with the seats? While their leaflets try to give the impression they are taking action at the Executive Board, they have endorsed every single policy advocated by Unity and have played the role of rubber stamp. (Come to an Ex Bd meeting and see New Action Inaction.) Their last leaflet contained not one word about the UFT’s endorsement of the merit pay scheme even though many New Action members are opposed. The same top-down mentality exists in New Action as in Unity. True birds of a feather. Sometimes I'm amazed at the predictive powers of Ed Notes. The non-Unity active membership has declared New Action a CURR (Caucus Under Registration Review). In dropping from 31% to 21% of the vote in 10 years ( a 32% decline) New Action has clearly failed to meet the standards. If there is no improvement in the next election, New Action will be closed and reorganized into a debating society. • The classroom teacher should be the primary focus of support. If merit pay ever comes to pass, it should go to those who do the most teaching. • Everyone should teach. Administrators, union officials, Chancellors, etc. Regular Exposure to Children (REC) by decision makers will give them a proper framework to make rational judgements. • It’s Not Our Fault: Problems with education are not the fault of teachers or the teachers contract. Our contract does more to defend the children than anything proposed by the Mayor or the Chancellor or so-called advocates for children. • Testing/standards for children has distorted education and will have a long-term negative impact. • Testing/standards for teachers has little to do with how we teach and has been used as a political tool by politicians and our union (to keep teaching re- sources scarce as an argument for higher salaries) which admittedly most certified teachers think is a good thing but we view as detrimental to a number of our hard working and capable members. Here's how I understand this issue. The educator administers the test to the child. The educator knows both the child and the circumstances under which the test was given. The educator then looks in detail at the test, and in the context of the totality of his understanding of the child, determines whether the test yields any insights into challenges the child might be facing. The educator then makes decisions about the child's needs based on the his overall understanding of the child, informed partly by test results if that seems appropriate. No advance "percentage" can be assigned to the test score as part of that judgment, both because the score might be completely worthless and because no one can form a professional judgment parsing out the factors that go into it by exact percentages! Therefore, it is not acceptable to attach ANY stakes to the tests. Test scores could be part of a formal recommendation by an educator that a child needs extra help. But even beneficial consequences should never flow from test scores alone. About evaluations: as an ambitious professional, I do not accept the principle that an inherently invalid procedure like misusing a diagnostic tool for children to assess me short form any part of my evaluation. Do we find it acceptable to eat a meal that includes 30%, 10% or 1% inedible ingredients? But even more importantly than the folly of using test scores in teacher evaluations, Farina seems oblivious to this fact that all of us I think are aware of: The moment you attach consequences of any kind to a standardized test, you destroy its original diagnostic function. You create an incentive to mask the problems the test is designed to reveal. Imagine there were a pill you could take before a blood test that would alter its reading of your cholesterol -- and then imagine you'd lose your job if the cholesterol number were the wrong one. Would you take the pill? How useful would the test result then be to your doctor, whose priority is to improve your health -- not tweak numbers to give a false picture of your body? Farina says "in her opinion" 30% is not too high? This isn't a matter of opinion. High, medium or low stakes attached to test scores are unacceptable, period. What am I missing? Is there something Farina knows that I don't? I think we cannot give any quarter to those who would lower the percentage of test scores in teacher evaluations and call it a day. You can still get tickets and be in the company of the leading forces battling ed deform here in the city. And you can also support the opt out movement by attending or donating to assist in the work Leonie and Class Size Matters is doing. Click here. We urgently ask you to inform all parents in New York City about the stand-alone field tests due to be given starting next week. The tests target 1,013 schools and approximately 135,000 children, and the state is trying once again to have schools administer them without any obligation to inform parents that this is happening. 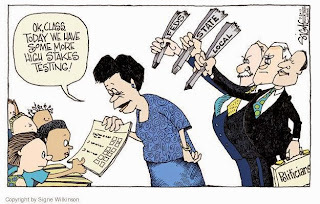 The rapidly growing rebellion against state-mandated testing is about one thing: parents asserting our constitutional right to determine the shape of our children’s educations. We want teachers, parents and local communities to run our schools—not corporations and privateers. This is also one of your strongly proclaimed objectives. Perpetuating high-stakes testing has been the core means by which for-profit corporations and the politicians they back have attempted to usurp authority over our schools. Stand-alone field testing is the expedient but discredited method Pearson has followed to generate test items and preserve its hold on the educational marketplace. The approach has resulted in the development of low-quality ELA and math exams to which our children, their teachers and we have been painfully subjected. This is not just a philosophical argument over who should control public education and the fortunes of our children, although it certainly is that. 1) Stand-alone field testing does not come close to reflecting best industry practices. It has been deemed by testing experts to be an inadequate way to develop test questions, because children do not take the exercise seriously. The information gained from the field tests is inherently unreliable and has repeatedly led to abominable ELA and math exams. 2) Even if it met professional criteria for producing high-quality test material, field testing constitutes product development for commercial purposes that demands disclosure and should require informed consent by parents before children are allowed to participate. 3) In short, stand-alone field testing constitutes a fig leaf covering the State Education Department and Pearson’s incompetence in managing the state’s testing program. It provides the appearance but not the reality of credible test construction. We appreciate the change in Department of Education policy that recognized the right of parents to refuse their children’s participation in the statewide tests. We know it also applies to field tests, but here we believe the situation requires a separate action. We ask that you immediately inform all parents precisely when and where the coming field tests will be administered. We further request that you simultaneously direct principals to advise parents that children are not required to take them. Principals ought to obtain the written consent of parents whose children are targeted for testing—allowing their children to participate. The DOE could set up the same kind of protocol it uses to gain parental permission for children to go on field trips. In the past four years there has been no advance notice to parents that field tests were being given, much less an effort to obtain consent. This includes your first year as the Chancellor when your spokeswoman Devora Kaye reportedly said, “We understand the frustration among parents and educators with the frequency of testing. This (field testing) is one of many practices we plan to review this summer and evaluate for the coming year” [Juan Gonzalez, Daily News, June 4, 2014]. What conclusions have you drawn about addressing that frustration, which has only grown this past year? Surely our request for greater transparency is one that you can meet. The grass roots opt-out movement has been fueled by an increasing awareness of both the misuses of the tests and their alignment with the Common Core, which ever-growing numbers of parents reject. The opposition will accelerate as more parents realize the state is not only forcing the use of test scores for purposes they never were intended to serve, but is also using the current secrecy surrounding the development and content of the tests to conceal a fundamentally unsound product. Whatever your own opinion of the role of state tests in our education system, please take action immediately to support the right of parents in New York City to be fully informed about, and to give or deny consent for, their children’s participation in NYSED and Pearson’s June field tests. As you said in a news report on WNYC just the other day, “If you want to make real change, everyone in the community has to buy in.” Parents cannot buy into Pearson’s experimental field testing if they do not know it is happening. Long-time ties between NYSED Commish Elia, Gates and AFT - What role does Gates money play in union policy? Who really runs the AFT? Elia's selection drew an unusually broad base of support from New York education groups, from teachers unions to charter school advocacy organizations. What does it tell you when our unions and the charter school scum line up together? All scum is created equal. 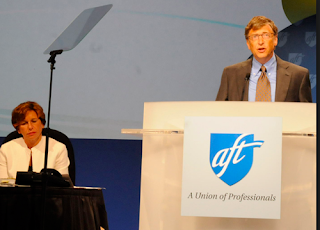 Oh how I remember how much praise at the Seattle AFT 2010 convention featuring Bill Gates for the partnership between the AFT/Gates and Hillsborough - with Arne Duncan along for the ride. As usual, our union is up to its ears in complicity under the "collaboration" umbrella. Is it as simple as Bill Gates buying a union? While our unions at national, state and local levels jumped on the bandwagon, the real stakeholders said a loud BOOOOOOO! 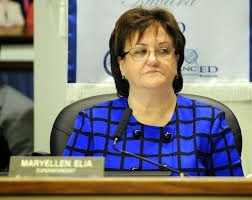 We at Change the Stakes and NYC Opt Out have grave concerns about the appointment of MaryEllen Elia as the next Education Commissioner for New York State. We are alarmed both by Ms. Elia’s public record as well as the process by which she was appointed. After trying in vain for years to get the attention of state education officials and their elected overseers, NY public school parents resorted to mass opt outs as a form of democratic protest. Yet, on the heels of an unprecedented grassroots rebellion on the part of parents across the city and state, the Board of Regents has once again ignored our voices. While leaders of various stakeholder groups were apparently consulted about the selection of the Commissioner, leaders of the opt-out movement were not. There was no transparency in the selection process, no public vetting of candidates, no opportunity for public input. Ms. Elia’s record makes it clear that she is born and bred of the corporate “reform” movement. As she stated in remarks yesterday, she is a strong supporter of both the Common Core Standards and high-stakes testing; she was an early proponent of using test scores to evaluate teachers, complete with $100 million in funding from the Gates Foundation. She also said that the best way to avoid opt outs is to increase communication. That is well in keeping with the views of her new boss, Chancellor Merryl Tisch, who recently said, “I hope over the next year to convince parents to help us help them understand why we test.” Both comments convey to parents a haughty disdain for the state of our knowledge; opt-out families are exceptionally well-informed, and the more we have learned about the policies surrounding high-stakes tests, the more resoundingly we have rejected them. Parents want our children to be held to high standards and we want them to be successful, which is precisely why we demand child-centered, individualized education – without high-stakes testing – to help each and every one of them reach their full potential. We want them treated equitably, regardless of the color of their skin, their cultural background or their abilities. Nothing Ms. Elia has said or done, of which we’re aware, suggests that she shares this vision. We will reserve final judgment about Ms. Elia until she is on the job here in New York and we see how she approaches parents. But we are putting Chancellor Tisch, the Board of Regents, the Governor, the legislature – as well as the leaders of the UFT and NYSUT – on notice: we are angry, we refuse to be ignored, and we will succeed in restoring democracy to public education in New York State. voicing some opposition to the policies? We're betting she wants to replace Tisch and I'm thinking she may have felt that a dissident vote at this time might hurt her chances. While some people are rooting for her, frankly, I don't trust her intentions. But back to MaryEllen Elia, the very worst of the worst person that could have been chosen. 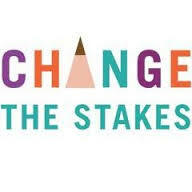 Some people on the Change the Stakes listserve are putting her in the Cathie Black category - I wouldn't since this horror story has an education resume and doesn't need any waivers. EVILia has been chosen to reign in the opt out movement and other resistance - since she has a heavy foot I don't think it will be by offering olive branches but by using threats. While some people lament this choice, I don't. We would never see a choice of a progressive like Bill Cala and I would rather deal with an accident waiting to happen than with some slick dude. From what I'm reading, EVILia may not be capable of turning on the charm so I predict great days ahead for we bloggers as she gives us material. In essence this would end many aspects of mayoral control -- protect the public school system from any mayor. My last post this morning explained where my thinking is at -- (I Agree With Eva Moskowitz (for a change) - de Blasio shouldn't run the schools - and neither should she) -- even James' reforms do not go far enough but at least open the door to local control over some aspects. (New York, NY) — Public Advocate Letitia James today released sweeping recommendations on reforming mayoral control of New York City public schools. The reforms call for enhancing parental and community engagement, strengthening accountability, and improving the Department of Education’s (DOE) finances. The report, titled “Our Schools, Our Voices: The Future of Mayoral Control in New York City,” was created with input from over 300 parents, community members, educators, and other stakeholders who attended a series of public forums in all five boroughs over the last year. · Instructing the city to perform an audit to determine the rate of related service delivery for students with disabilities, segmented by district, disability and Title I status. Success Academy head Eva Moskowitz said that the Panel for Educational Policy's recent decision to delay two co-location votes shows that Mayor Bill de Blasio is undeserving of mayoral control of the city's schools. Now we know the UFT will continue to back mayoral control even though there is a good shot de Blasio will be a one-termer and - guess who just might be waiting in the wings to activate her strategically placed schools into a political machine for her bid to become mayor? With today's 3 year renewal of mayoral control, here are some thoughts. Now that de Blasio has backed off so much of the resistance to ed deform he promised, there is more willingness to give him this extension. But he is still hated by the deformers. Lots of people are thinking he is a one-term mayor - imagine Eva in charge - deformers would extent that for life. I'm still thinking old dist structure on the whole but with some power to local schools. Old struct was still dictatorial to the schools. I think we need to empower the SLTs with some real power but within the structure of a bigger neighborhood based unit. I have issues with centralized control and even a school board election keeps that in place. we need to rethink things from the bottom up. I start at the neighborhood schools and work from there. Problems? Hell yes. But why not even try some experiments? Maybe buddy schools to share resources. "I teach a fourth grade class in Rockaway, and I would bet that I spend more than a third of my time teaching students how to take the test and doing test prep material" a teacher e-mailed. "I understand that lots of things depend on how well my kids do on the test, including whether my principal keeps her job, but I have to question taking all of that time from teaching the material that I am supposed to be teaching."... Letter to Howie Schwach, Jan 21, 2001 in The Wave, reprinted in Ed Notes, Feb. 2001. Some of us were agitating for the UFT to put a stop to the testing craze even then, but like now the UFT leadership defended the testing craze. Rockaway schools were under the control of Kathy Cashin - Supt of Region 5, which combined Dist. 23, 19(Bklyn) and 27(Queens) - known as a testing queen then but who seems to have changed her tune since becoming a NY State Regent with a direct aim at Meryl Tisch's job as regent head. Howard Schwach writes a weekly, and sometimes controversial, educational column for “The Wave” (www.rockawave.com) a local newspaper serving Rockaway, Broad Channel, Ozone Park. Schwach is a longtime teacher in District 27 and has been critical of the powers that be in the district (including the UFT,) often accusing district personnel of paying more attention to politics than education. Recently, I emailed him an article entitled “The Testing Obsession,” by Howard Gardner, the guru of “multiple intelligences,” an article in which Gardner states: “In the quest to improve public schools, we've made test performance more important than education.” (Email me at norscot@aol.com to receive a copy.) Schwach reprinted the Gardner piece in the Jan. 13 edition of “The Wave.” Here is his follow-up article in the Jan. 21 edition. Schwach raises a number of issues such as “What constitutes an adequate education?” “Does high stakes testing actually help foster an inadequate education?” “Is the movement to higher standards being used by politicians and educators to the detriment of the children?” These are the kind of questions that should be debated regularly in the UFT. Sadly, if you attend Executive Board and Delegate Assembly meetings, you will hear President and Staff Director reports talk about the politicians we are able to elect---some of whom have contributed to the very climate Schwach points to----but nary a mention of the issues raised by Schwach, issues that impact teachers and schools on a daily basis. Is it a contradiction for the union to remain silent when enormous sums are expended for practice tests while at the same time calling for more funding for schools? Last week’s column that posited the idea that test scores rather than education has become the be all and end all in this city has caused lots of reaction from school board members, parents and teachers. That surprised me somewhat, because I thought of that column as a necessary, albeit somewhat boring topic. Obviously, it has touched a nerve with many people. "Your column in today’s paper was right on line, " one long- time school board member e-mailed. "There has been a good deal of positive press recently given to whatever district in Harlem where the kids went to school during vacation and on Saturdays in order to be prepped for the upcoming reading test. This sickens me. I think that it is great that the kids spend extra time in school, but let’s teach them something tangible, not how to take a test. In my opinion, that is nothing different that a Kaplan’s SAT class." "I teach a fourth grade class in Rockaway, and I would bet that I spend more than a third of my time teaching students how to take the test and doing test prep material" a teacher e-mailed. "I understand that lots of things depend on how well my kids do on the test, including whether my principal keeps her job, but I have to question taking all of that time from teaching the material that I am supposed to be teaching." Those e-mails are representative of the general feeling that the standardized tests have become too important and that "teaching to the test" has become more prevalent in our schools than educating students. There is ample evidence of that fact in our district. Tens of thousands of dollars are spent on "test prep" materials that are designed to teach students how to take a particular test. There is ample evidence of that fact in our district. Tens of thousands of dollars are spent on "test prep" materials that are designed to teach students how to take a particular test. "If there were some way the practice tests could be used to help us in the classroom, I would understand their use, "a middle school teacher says, "but we just mark them and pass them on to supervisors or store them away after they are marked. They seem to serve no educational purpose other than prepping the kids for the ‘real’ test." Of course, we all know the reason why so much time is taken prepping for the tests. It is because the tests have become high-stakes, do or die indications of how well students are doing in any particular district, in any particular school. The mayor, of course, wants to raise the stakes even more by predicating salary raises on test scores. That, however, is the mayor and we can discount anything he says about education. The fact is that the standardized test scores (particularly the fourth and eighth grade scores) are important to many groups. They are important to the politicians who fund the schools, particularly now that a judge has ruled that education funding has been disproportionate all of these years. Politicians will make education a seminal issue and will get elected or dumped based on test scores in the schools in their districts. They are important to school superintendents. You will remember that Brenda Isaacs was supposedly removed from her superintendency because of poor test scores in the district. The fact that a number of superintendents had far poorer scores in their districts did not deter the chancellor from removing her. Superintendents now serve at the whim of the chancellor and they have a mandate to get scores up in their districts, or else. They are important to school principals. Principals gave up their tenure for a large chunk of change and now serve almost at the whim of their superintendents. Sure, there has to be a hearing, but the stats can almost always be used to prove that the principal has not done a good job. Therefore, principals serve at the whim of the superintendent and can be removed if the test scores do not go up. They are important to assistant principals, especially the majority administrators who have less then five years in their position and can be dumped back to teacher at the whim of the principal and the superintendent. If scores go down, they are the first to go and they know it. Therefore, they put unnatural pressure on teachers to get the scores up. They are important to teachers, who are at the bottom of the food chain. Teachers may be working with students who are reading on a low Level I, but they are still told that it is their responsibility to get them to Level II, something that everybody knows is not within the realm of possibility. It is now important to kids. Most of them will be promoted no matter what they do on the tests and they know it. They are important to some parents who wrongly use them as an indication of what a school is really about. The fact is, there is real education going on in lots of classrooms in schools where the test scores are low and there is no education at all going on in some classrooms in schools that have high reading scores. Education is a function of the teacher and the students and has little to do with school wide reading scores. Last week I asked what education was really all about. Howard Gardner posited one answer. There is, of course, some agreement on learning basic skills such as making change and reading a map, reading and understanding a book, critical reading and an ability to form judgments and opinions independently. The New York Times recently did an article entitled "What Kind of Education is Adequate? It Depends." The articles writer, Randal Archibold, asked a number of people the kind of people they considered to be educated. Leon Botsetin is the president of Bard College. He says, "A good education teaches you how to ask a question. It’s knowing what you do not know, the skills of critical thought." Paul LeClerc is the president of the New York Public Library. "Ideally, one should know who Shakespeare was and why he was important to us. At the same time, one should know who Toni Morrison is and why her voice and take on America are important to us." Michael Goldstein is the head of a charter school in Boston. He says that an educated person today can "write and e-mail a persuasive, three-paragraph letter to the editor about voting improprieties in your local district; research on line and analyze the statistical difference between Pat Buchanan’s vote totals during the ’96 and ’00 elections; read and comprehend the ‘no cell phone’ sign at restaurants." Robert Silvers is the editor of the New York Review of Books. He says that an intellectual person "acquires some intellectual curiosity about learning more and exploring the possibilities of science and the understanding you get from literature and the arts." Many people have an idea of what an educated person should be able to do what he or she should know. An entire book, The Dictionary of Cultural Literacy, by three educators, discussed the facts that an educated person should know. Knowing what skills an educated person should have is a little more complicated. In any case, however, those skills do not include knowing how to take a test and that is what we are trying to teach our students (mostly without success) in today’s classrooms. Students today have to read 25 books to meet the new standards. They have to "address literature." They have to "create a persona" when they write. The standards are generally benign, but what we teach to reach those standards is often not so. Perhaps it is time for a real change. In 1999, 33% (10,391) of active members voted for opposition candidates. In 2001, that went down to 30% (10,474)... Marian Swerdlow 2001 election analysis in Ed Notes, April, 2001. MORE is going to use some of its summer series to address UFT elections, past present and future. I thought I would start getting into the debate ASAP. Even before New Action made its dirty deal with Unity, some people had their knives out for the way NA did business. I was one of these people. 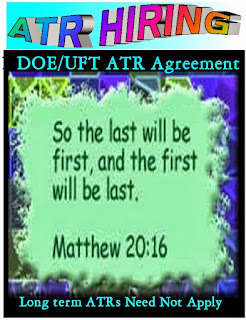 Ed Notes published a preliminary analysis by then FDR HS Delegate (now chapter leader) Marian Swerdlow of Teachers for a Just Contract in April 2001 right after the UFT elections, the last election that New Action ran independent of Unity support. And the last time they ran their own candidate for president, someone not named Weingarten or Mulgrew. 34% of the votes in the election were cast by retirees in 2001 -- in 2013 the retiree faction was up to 52% of votes cast. Marian came back for the May 2001 edition of Ed Notes with a follow up. Both are included below, along with my own Ed Notes report card grading of New Action (Marian was kinder than I was). The opposition Caucuses (New Action and PAC) received 11,400 and 1,300 votes in 2001, slightly more than in 1999, but Marian's analysis points to an erosion of support. I believe the 01 election results and the prospect of further erosion in 2004 is what made NA susceptiblt to Randi's offer to make a deal in 2004, 7, 10 and 13 and I would bet in 16 too. I refered to the first Serdlow article 6 years later after another New Action election sell-out to Randi and Unity Caucus - Is New Action Really a Caucus? -- in an Ed Notes Dec. 14, 2007 blog post. Check them out, given some of the recent talk (New Action, Positioning Itself for UFT 2016 Elections and here) about the role New Action plays as a Unity stalking horse. Anyway, back to Marian's excellent analysis - and my report card for New Action, in the April and May 2001 editions of Ed Notes. The opinions expressed are those of Marian Swerdlow and do not necessarily reflect those of other members of TJC or Class Action. Some of the results of the 2001 UFT election are now available, and we can compare them to the results in the last election in 1999. New Action won back all six high school executive board seats it won in the last election. A little analysis: We can see that New Action did not lose any absolute support to either Unity or Progressive Action. In absolute numbers, Shulman lost fewer than fifty votes. What happened was that Unity gained in absolute numbers, hence its increased percentage. We may have a better idea where that increase in absolute numbers came from when we see some of the results by divisions. We also see that the membership of the union grew considerably, by about 10,000 members (around 7%). The fact that new hires continue to enter the workplace, while retirees continue to vote in union elections, accounts for some of this increase, although the information is not available to tell how much. Some personal opinion: There is enough blame to go around for these shameful results. It may be tempting for some to blame New Action. They did run a campaign that was too brief, desultory, and unimaginative. I would argue, however, that they ran the best campaign their activist base permitted. Which leads to the question of why their activist base is so inadequate for the job of challenging Unity effectively. New Action certainly has not strenuously reached out to attract activists. In fact, it makes it difficult for new people to get involved in New Action. They don't make it as easy as possible to contact them, they don't advertise their meetings and they don't have open meetings. They don't have activities for activists to get involved in, or to do in their chapters. The main activity they offer to activists is putting literature in mailboxes. Not the way to build leadership. On the other hand, even if they did everything possible to attract, involve and develop activists, it is by no means clear they would be successful. The membership has grown dependent on being told what to do from above. If the leadership calls a rally at City Hall, they will show up in heartening numbers. But they have no initiative, no desire to organize themselves. They may want things to happen, but they don't want to be the ones to make them happen. That is not the fault of New Action. Nor is it patently clear New Action, or anyone, could change that. But New Action has done little or nothing to try. New Action has approached this election, as every other, with the assumption that Unity was its best organizer, that by its failures, Unity would convince people to vote for New Action. Some New Action leaders felt that taking place as it did in our fourth month without a contract, they would increase their share of votes in this election. That did not turn out to be the case. The reason may be that the membership has grown accustomed to working without a contract: we have worked almost one-third of the last ten years under expired contracts. It is no longer something extraordinary. We have diminished expectations. I think the members accept Weingarten's argument that the best thing to do is to wait out Giuliani. The alternative is militancy, and most members don't accept that alternative. Ed. Note: Rumors that New Action is blaming its defeat on criticisms leveled at them by Ed. Notes have not been confirmed. We do know that they will NOT change the way they do things, no matter what the outcome of elections. See next issue for more analysis. Published in Education Notes, May 2001. Further analysis shows that even if we look only at active members, the opposition slates lost overwhelmingly, and showed a loss of relative support. Even among active members, Weingarten won overwhelmingly. However, 34% of the votes in the election were cast by retirees. Weingarten received almost 39.5% of her support from retir- ees. The opposition received only 17.8% of their support from retirees. In 1999, 33% (10,391) of active members voted for opposition candidates. In 2001, that went down to 30% (10,474). The opposition lost relative support but not absolute support among active members. Weingarten gained both absolute and relative support among active members. In other words, the increase in the number of both retirees and active members voting went almost completely and entirely to Unity's benefit. In 2001, Weingarten received an additional 1,252 retiree votes, and an additional 3,788 votes from active members. The opposition received an additional 267 votes from retirees, and an additional 83 votes from active members. It was incumbent for New Action to reach out to Progressive Action & Teachers for A Just Contract/Class Action. TJC had shown it could de- liver 75 people to demo in front of UFT headquarters. Ed. Notes started asking non New Action opposition people back in November whether they had been approached by NA about a joint election campaign. The answer was NO! I spoke to Marc Pessin of PAC in Dec. and asked if NA had contacted him about elections and he didn’t even realize there were elec- tions. Yet he was able to mount and run a campaign on such late notice. A serious caucus needs a regular consistent voice that does more than have biographies of their Exec. Bd. members or have short punchy statements. Clearly, the membership needs some convincing arguments to vote an op- position into power. NA literature does not go into depth on the issues. One recent leaflet used only one side of a page and it had little more than slo- gans. When questioned about why waste an entire side of a page (Ed. Notes has to scramble for every inch) the response was: this is easier for people to reproduce for their schools. You could just see people running to their copy machines to get that one out. No election literature out until February. The campaign should have started 2 years ago. Where are those over 700 people who ran? Where are they at the Delegate Assembly? Where are the chapter resolutions? NA Exec. Bd members often seem overmatched. They try initiatives and then drop them. Their questions are often mere responses to Unity. They don’t pick up on contradictions in leadership positions which could then be used in future literature. It is frustrating to watch NA miss numerous oppor- tunities at these meetings. Witness our consistent campaign and exposure of the weaknesses of Weingarten’s position on school-wide merit pay. In a lovely leaflet distributed at the April DA, NA congratulated Weingarten on her victory and promised to work together in a spirit of Unity. I would have started the next election campaign. OK, it’s 3 years away, but I believe in early starts. I also believe in total war, no holds barred. NA seems content to be the main opposition rather than forming a united front and engaging in an all-out fight against Unity. They certainly lack the militancy and activism of other groups. Not a week goes by that emails and phone calls go out from PAC announcing meetings and forums around the issue they are interested in. They have gone to court for unlicensed teachers and hold demos when needed. Yet NA considers them failures because of their low vote count. TJC pulled 75 people to a demo at UFT headquarters in Nov. and they are currently leading a fight against merit pay. And of course Ed. Notes, though not strictly an opposition party, has pushed the limits of what 1 person can do in being critical of the union leadership. The non-Unity active membership has declared New Action a CURR (Caucus Under Registration Review). In dropping from 31 to 21% of the vote in 10 years ( a 32% decline) New Action has clearly failed to meet the standards. If there is no improvement in the next election, New Action will be closed and reorganized into a debating society. Ed. Note: Unity’s share of the vote has grown from 69% in 1991. New Action received 31% in ‘’91, 24% in ‘99, 21% in ‘’01. Despite this steady erosion, NA has made few changes in strategy or tactics. Circumstances may be beyond their control, as Marian Swerdlow pointed out in our March edition. Randy Weingarten’s incredible abilities as a politician cannot be overlooked. She has an ability to reach out to people and make them think she feels their pain (sound familiar?). And she never stops working. (NA attacks about the salary she makes were rediculous.) So what’s an opposition to do? Stay tuned for the fall edition of Ed. Notes for some ideas. Newark: Will there be a mass sick-out next week?